Cass County Memorial Hospital (CCMH) had its beginning in 1903 in a large frame house at the corner of East 5th and Oak Streets in Atlantic. This former residence was converted into a ten-bed facility and named the Atlantic Hospital. Sixteen more rooms were added to this original building before it was torn down in 1916 to be replaced by a new brick structure. In 2005, CCMH became a Critical Access Hospital. With this designation, the number of licensed beds changed to 25 Critical Access Acute and Swing beds, 8 Distinct Behavioral Health beds, and 10 Distinct Skilled beds. 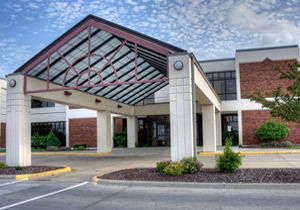 The Atlantic Medical Center became a Rural Health Clinic in October 2007, making it a division of Cass County Memorial Hospital, and increasing CCMH total staff to 413. Dr. Agarwal has affiliation and privileges at Monroe County Hospital in Atlantic, IA since 2012 and is available to see patients there on 2nd Monday of every month. Please call 1-888-226-0990 to schedule your appointment.